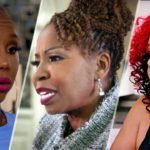 TMZ reports that “Braxton Family Values” is on an indefinite break after the Braxton sisters and their mother made a Braxton family decision — no taping until they’re paid what they’re worth. 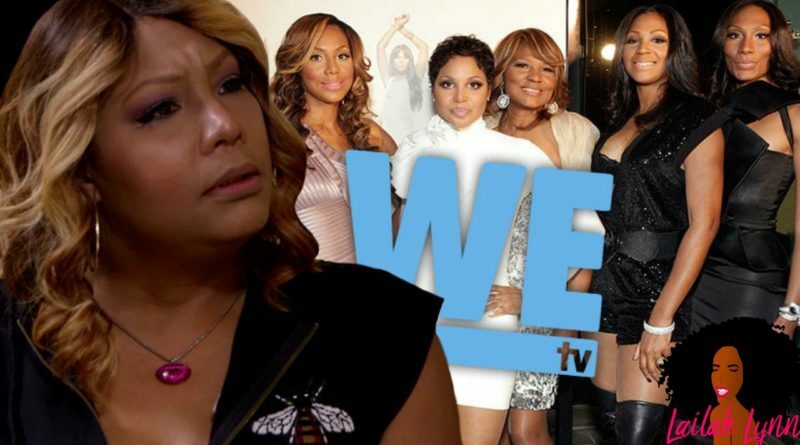 Sources connected to the show say that the entire cast — Tamar, Toni, Towanda, Traci, Trina and mom Evelyn — was scheduled to shoot in Atlanta last week, but only Traci showed up … so WE tv sent the film crew home and pulled the plug on taping. -Now why Traci showed up, when the rest of the family agreed that they were on strike is strange to me. But I’m just going to guess that she wanted to politely notify the film crew that the family would not actually be filming. Traci seems like the type to want to tell someone when they’re being boycotted. So I’m guessing that’s why she showed up. 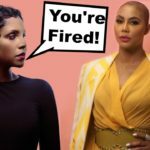 Sources say the Braxton sisters are refusing to return to work until WETV and Magical Elves, the production company that produces the show, renegotiate their contracts for the second half of season 6. The major issues they have, apparently, are that their wardrobe and travel stipends are so low it’s laughable. Now, I didn’t even know that the production company or WETV paid for the wardrobe of reality stars, so that’s news to me. But I did know that they pay for their travel and they definitely need to pay them what it costs to travel and more, especially since The Braxtons do a LOT of press at the airport. Remember, the sisters told it all about Vince & Tamar at the airport. And Miss E put Vince out there at the airport too. That’s definitely press, bad press, but press nonetheless – so they definitely need a travel stipend that reflects not only the cost of the flight – but the press that they do when they’re traveling too. In addition, they also want their salaries increased to an “appropriate” level. -Now, what is considered appropriate probably differs from sister to sister. I don’t imagine that Toni & Tamar, who are arguably the stars of the show, are paid the same as Traci, Towanda and Trina. But in any case, they ALL want an increase in their salaries. 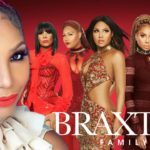 It is currently Season 6 for Braxton Family Values and the Braxtons are under contract through season 9. So WETV definitely needs to get these ladies their coin, as Tamar would say, since they have three more seasons to go. And speaking of Tamar, Tamar & Vince have once again listed their Calabassas mansion for sale. Most recently I reported that they were actually trying to rent it out for $85K/month. But now they have put it back on the market. The sale price is currently $14 million, after already cutting the price by one million after just one week on the market. They purchased the home for $10.5 million in 2013 and it currently has almost a quarter of a million dollars in liens, according to The Blast. So hopefully Tamar and the rest of the Braxton sisters can get their money from WETV and start filming again. Yes, the show is getting old, but I still enjoy seeing the sisters dynamics on television. And if the Kardashian sisters can have 14 seasons on television, then the Braxton sisters can too. What do you think? Are you sad to hear that the Braxtons are on strike from filming? Or do you not watch the show anymore? Leave a comment and let me know!